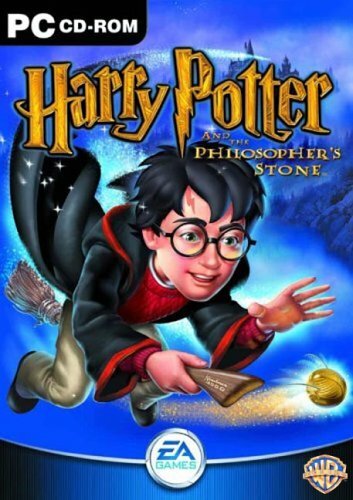 A year and a half ago I reviewed a mediocre Philosophers Stone game for the PC, it was a fairly bare bones 3D platformer that was way too short and it skipped over many of the best moments from the film and the original novel, today we will be taking look at the PC video game of the second book in the series Harry Potter and the Chamber of Secrets. You play the game as Harry Potter the boy who lived who is attending his second year at Hogwarts school of Witchcraft and Wizardry, just like the first game this is a 3D platformer where the objective of the game is too attend classes and beat challenge maps, a huge difference here is how you learn spells, in the first game learning magic was awkward because you needed to trace over shapes with your mouse and with such a limited amount of time performing this task became very difficult, thankfully the game designers have taken a different approach with the sequel as now instead of tracing we instead need to hit corresponding keys on the keyboard in a specified order in the style of a rhythm game. Quidditch matches have also been heavily modified and I don’t like the changes they have made here, instead of having complete control over your broom so you can fly freely the game controls the broom for the player and all you need to do is bump into the enemy seeker until you are close enough to catch the golden snitch, its boring, it has no challenge at all and the worst part of it is that it feels like the game designers were just being lazy and were trying to rush out the game. 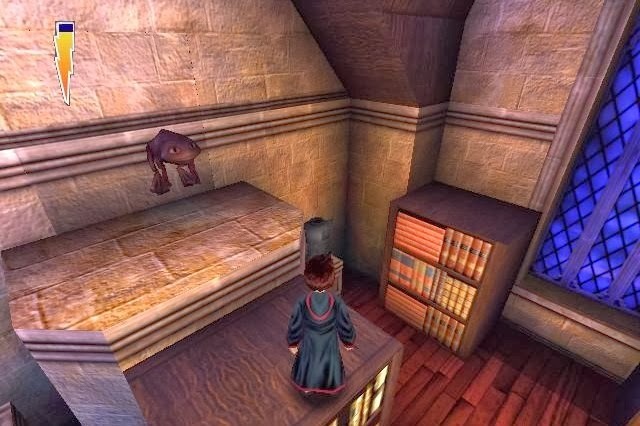 The graphics are impressive when compared to the first game, everything is smoother and less pixelated but for a game from 2002 they are still pretty bad, on the bright side the level designs are more detailed and are genuinely more interesting to explore, the best part of the game is finding all of the secrets around Hogwarts castle and the castle grounds, through out the game you will learn an array of spells which can be used to defeat enemies and open up secret passageways where you may find a famous witches and wizards card. The first game had only 25 cards to collect and for doing so all you would receive was a slightly extended ending, this game has a whopping 101 cards which is the staple for the majority of the Harry Potter games, the cards come in three categories, gold, silver and bronze, the bronze cards are common and for every 10 you collect you will gain an additional health bar, the silver cards are uncommon and for every ten of those you find you will come one step closer to accessing a bonus area which can only be accessed once the player finds all 40 of the silver cards, the bonus room is a platforming level, which is full of enemies and puzzles, the player has a set amount of time to try and find the 11 rare gold cards in the game, again I don’t think its worth going out of your way to collect these but honestly it was much more fun to do so here than it was before. You can buy cards from other students around Hogwarts by using Bertie Botts every flavoured beans which can be found throughout the game, this isn’t necessary since every card can be found hidden inside and around the school but it is helpful if you don’t want to back track later on, the best way to collect beans is by entering the bonus bean room which you can only access if your house has the most points during the segments of the game where Dumbledore tallies up the house scores. The music in the game is what can be expected from a cash grab title that was made to help push DVD sales but its fun to listen too and not once is it annoying nor does it take away from the game play experience. I remember playing Harry Potter video games when I was a child, I used to own the Philosophers Stone on the Ps1 and both the Chamber of Secrets and Prisoner of Azkaban games on the PS2. There are many Philosophers Stone games and the most rare of them all is the second generation version (Ps2, Xbox and GameCube) due to the price of this game being rather ridiculous I refused to buy it until I could find it for cheap in a flee market or a charity shop so when I saw the PC version being sold for penny’s in my local charity shop I quickly snapped it up expecting to be playing the rare second generation version only to be surprised that this particular game was very unique in itself and actually provided a completely new experience I didn’t expect. 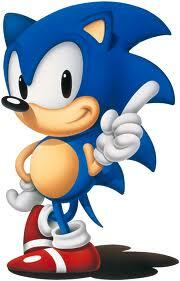 The only question now is was that experience good? 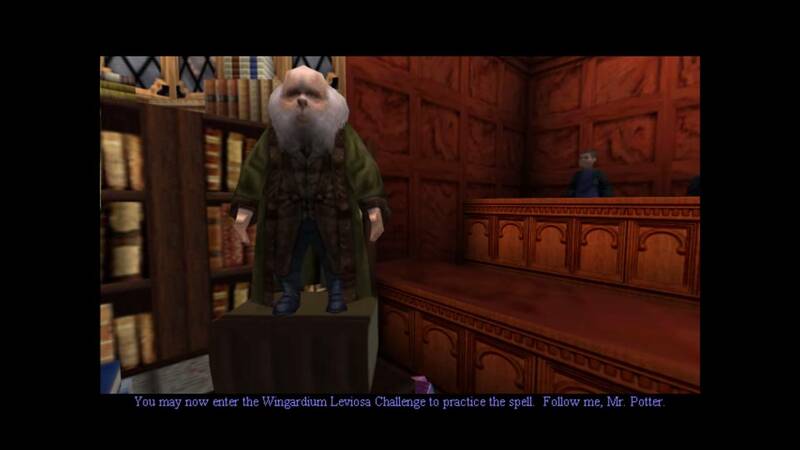 You play the game as the Young wizard Harry Potter who has just started his first year at Hogwarts school of Witchcraft and Wizardry, you spend the majority of the game attending classes such as Defense against the Dark Arts, Broomstick flying and Charms. 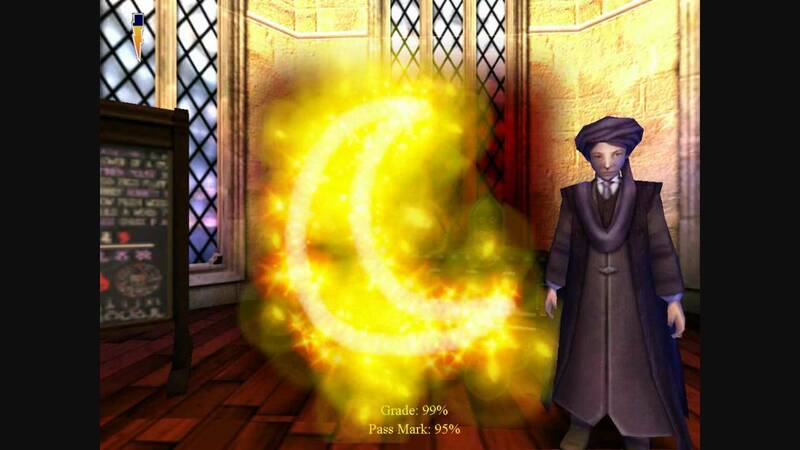 When you attend a class you are almost immediately told to trace over a shape using your mouse, you will need to hit a certain percentage of the shape in order to proceed to next difficulty of the spell learning minigame, you are required to pass level 1 which will award you five points for Gryffindor and after you succeed you will be taken to the next level, the more levels you pass the more points you will earn for Gryffindor but you are only required to finish level 1 in order too continue with the main game. The only time that attending a class is any different is when you take part in a flying lesson because instead of tracing shapes this time you will need to fly through many different rings, this section works surprisingly well using the keyboards controls considering that for most of the lesson you will be using the speed up key which makes your broom stick fly much faster than usual. After you finish the tracing mini game you are always then told to complete a bunch of challenges which mostly rely on you using that new spell, you will often be taken into a number of rooms to perform these challenges, you will also have the opportunity to collect the challenge stars which depending on how many you can find will award you with different amounts of points for Gryffindor once the challenge is complete, these stars are really easy to find so you should almost always be awarded maximum points for completing these challenges. 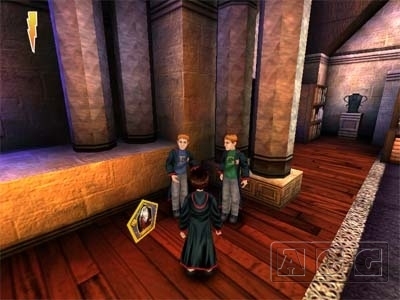 When playing through the main game you will also have the opportunity to collect other items, one of these items is the Bertie Botts every flavor beans which are only needed for you to give to Fred and George Weasley as they need it for a top secret practical joke they are planning on Slytherin. The other collectible items are the famous Witches and Wizards cards which are hidden in secret areas all throughout Hogwarts, some of the cards you can get from Fred and George but the Majority you will need to find yourself, collecting all 25 cards only gives you a slightly expanded ending to the game so its not really worth the effort unless you really want to get 100 percent. 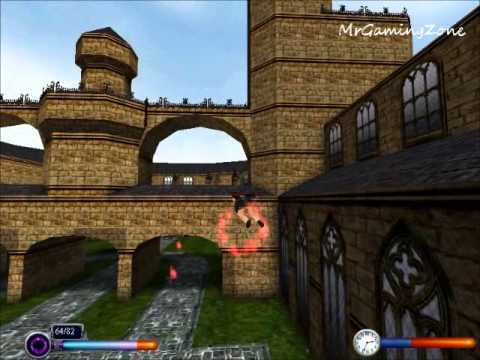 The general gameplay is mostly 3D platforming which works extremely well using the keyboard and mouse, the game runs smoothly providing you play on an XP operating system otherwise you will have serious lag and slowdown due to the game being so old. 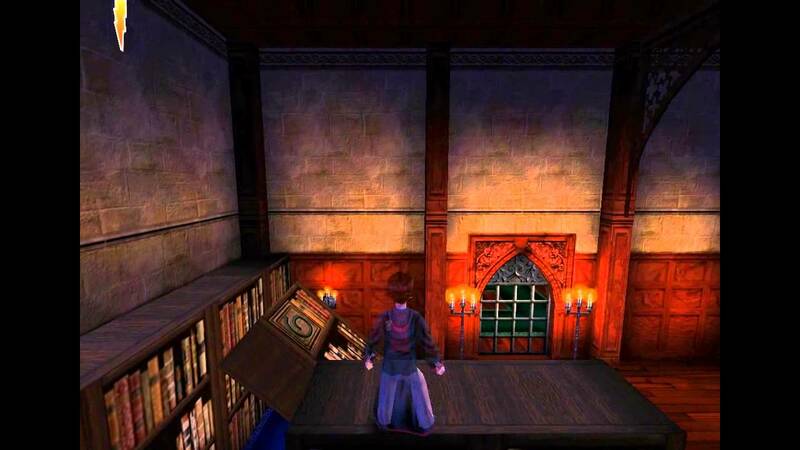 You will play levels based on many of the famous scenes in the movie by far the most memorable part of the game for me was avoiding Filch and Mrs Norris in the forbidden section of the Library. There are a few boss fights in the game but they are not that difficult as most of time just casting spells blindlessly will defeat them, the only boss I even had the slightest trouble with was the final boss and even he wasn’t that difficult. 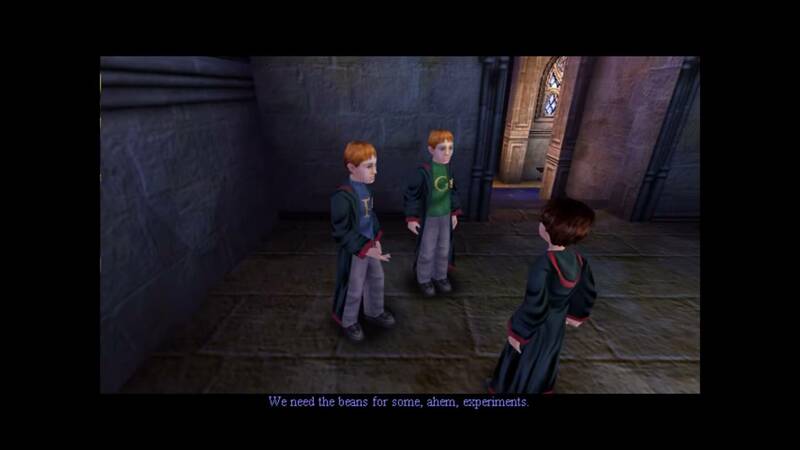 Harry Potter and the Philosophers Stone for the PC is a decent title in the Harry Potter game franchise, this particular version is a lot of fun but it is way too short as it can be finished with just a few hours, the game also feels very bare as most scenes from the film are missing which really is a shame, on the bright side there is a level based on a section which was only in the book which is a nice touch, it has tight controls, fun music and ok game play. 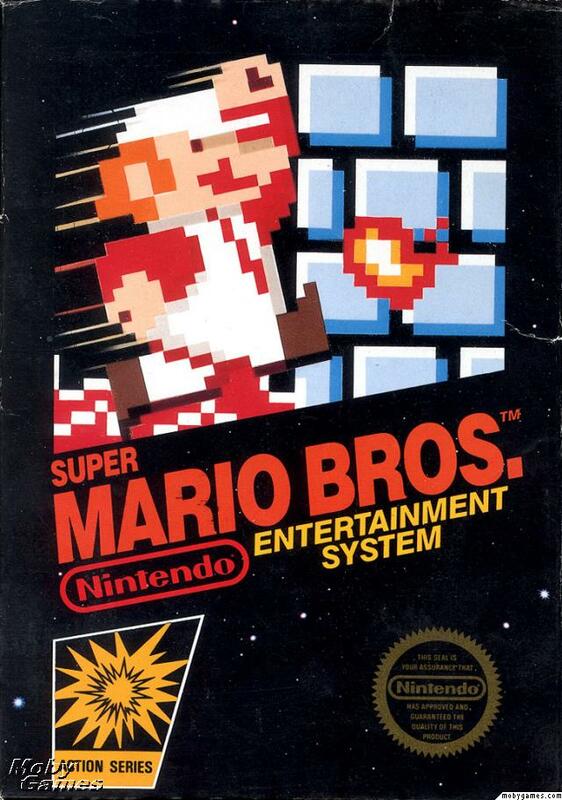 In the game you take control of Mario an overweight Italian plumber who likes nothing more than taking magic mushrooms and eating plat life to gain powers (No he is not on drugs……….Or is he?) any way Mario has heard some tragic news and found out that the girl he has his heart set out for Princess Toadstool has been kidnapped by an evil turtle known as King Koopa (Bowser) Mario must adventure across the Mushroom Kingdom (ok what’s with all the mushroom quotes?) in search of the missing Princess and her kidnapper. 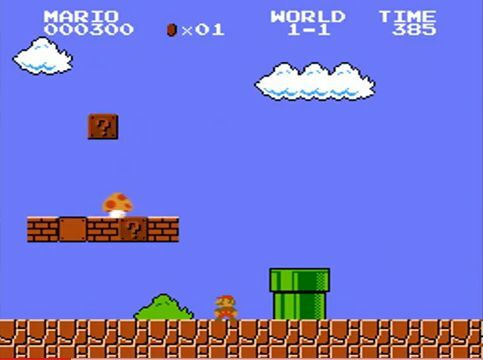 There are three types of levels in the game the usual outdoor/ underground plat former levels, underwater swimming levels and Bowser’s many castles in the game, The game looks and plays great it has a nice colour palette for a game that came out in 1985 and Mario’s controls are tight and easy to learn, Mario moves and attacks in different ways depending on the level you are on and if you have found an item. I guess you could say that there are 8 bosses in the game but does it really count if all the bosses are pretty much the same apart from little changes like a platform Mario can jump on or the fact that in the later levels Bowser will throw axes and for that reason alone I am not going to go into detail of each boss because you would just read the same thing over and over again, If you have fire power shoot him until he dies, if not jump over him or run under him and hit the Axe to chop down the bridge. 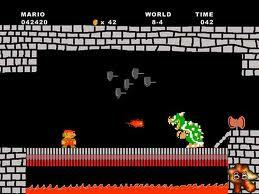 I love Nintendo I understand that this is one of their first really popular games but could they really have not been more creative especially with the in game bosses (How about an explanation to how Bowser seems to survive every time I throw him into lava because I’m pretty sure he would die). Now I know I’ve done a little bit of bitching about this game but I’m not gonna lie even though I find these issues I still love it, It is one of those many video game titles which will live in my heart forever, I’m not going to tell you to buy the game because chances are you already own it whether it’s on the NES, DS, PC or anything else Super Mario Bros is a great game and it has my seal of improvement 8/10. I hope you enjoyed this review of Super Mario Bros on the NES this is my opinion of the game if you respect my opinion I will respect yours.